Felix Hart is back, in the thrilling, wine-soaked sequel to Corkscrew. Hart, a wine buyer at the top of his game, finds himself compromised by a ruthless, multi-national drinks corporation. Forced to participate in a high-profile, corrupt wine tasting, Hart is drawn into a terrifying game of cat-and-mouse, pursued by blackmailers, assassins, and organic wine fanatics. The action moves from the Byzantine intrigue of the Minstrels of Wine to France’s most glamorous chateaux, Hart relying on his quick wits, fine palate and a touch of muscle to stay ahead of his enemies. But he meets his match in Lily Tremaine, a beautiful and passionate sommelier, who disrupts his easy, pleasure-seeking life and turns his world upside down. 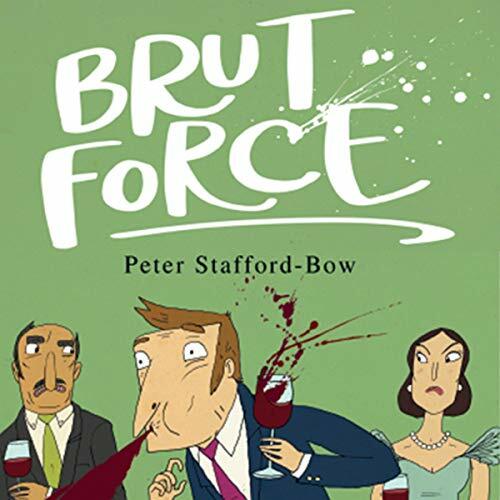 Brut Force is the second Felix Hart novel and the sequel to Corkscrew, the 2018 People's Book Prize finalist.